troubleshooting suggestions for the do – it – yourselfer. 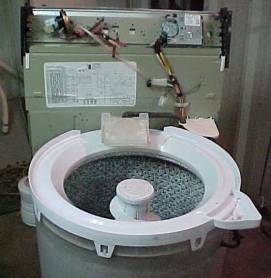 See photos of some common Whirlpool and Kenmore washer repair techniques. GE, Maytag, Amana and Magic Chef washing machines. with your direct drive Whirlpool / Kenmore clothes washer. 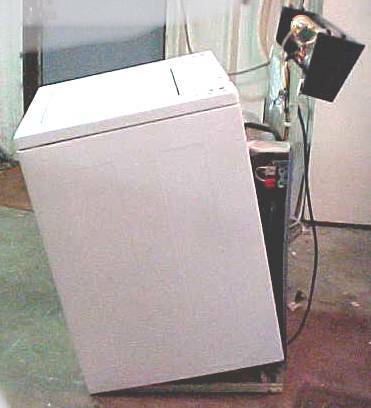 If you are attempting to repair your clothes washer yourself, be aware that you are working with potential dangerous electrical currents that can cause serious injury or death. Be aware that appliance parts have extremely sharp edges and moving parts that can cause serious injury or death. Always remove the power source from the unit you are working on. Unplug it! When unplugging or removing power source, double check to make sure you removed the proper cord or turned off the proper breaker when tightening part, make sure that if the tool you are working with or your hand slips, you will not be injured by sharp or ragged edges. 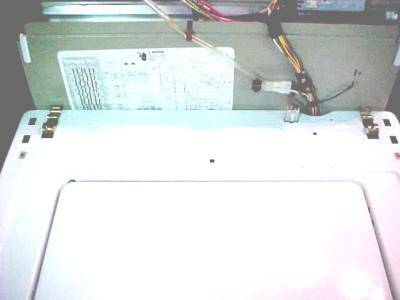 Keep children and pets away from working area and disassembled washer parts. Be aware that there are other hazards involved in appliance repair, besides those listed above that may cause serious injury or death. Use extreme caution when installing or removing parts. 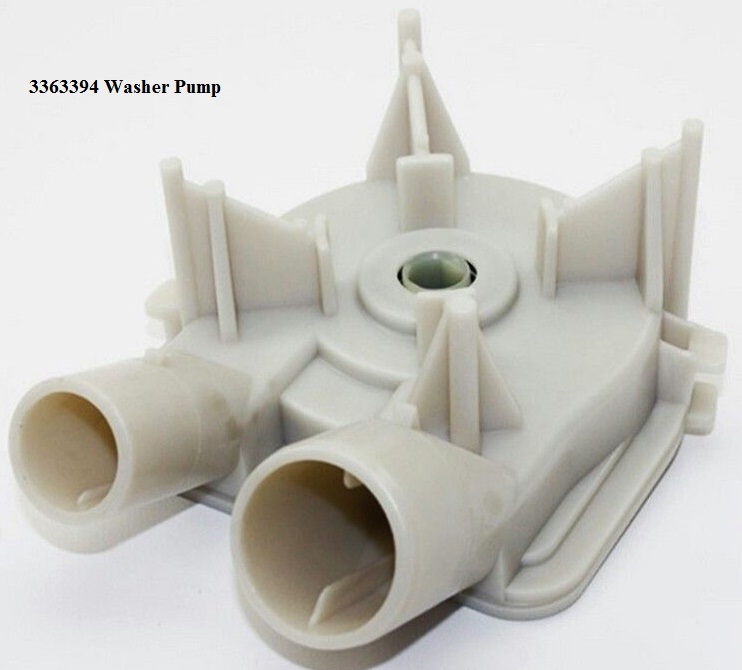 Easy to replace – remove the two spring clamps from the washer pump. Then remove the hoses from the pump. Pull the pump off of the shaft. If the motor shaft is rusted and the drain pump will not pull off, it may need to be fragmented with a large screwdriver or chisel. The motor shaft will then need to be cleaned of all rust and possibly filed so the new washer drain pump will slide on easily. Easy to replace this part. Check all of the rubber hoses for wear. Check all of the hoses for a tight connection. 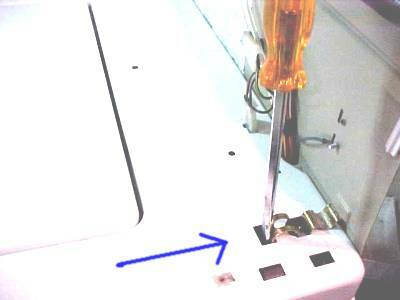 Unhook the electrical harness, then insert screwdriver into the clip, then push back to pop spring out. 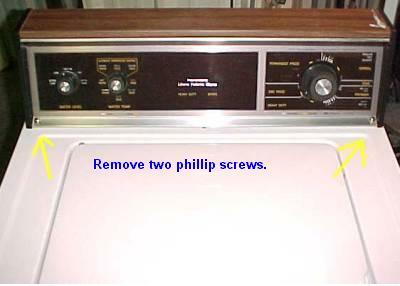 Open the washer lid – tilt the cabinet toward you then slide out and away from the unit. You now have easy access to all of the working parts. Usually you will see a pile of black rubber and possibly white plastic bits under the motor if this is the problem. Not always though! Remove the pump from the motor and secure it away from the front of the motor. It is not necessary to remove the water hoses, use tie clips, wire, etc. 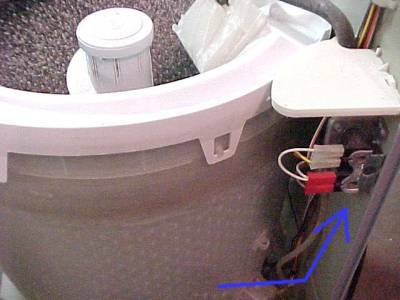 remove the bottom spring clip from the washer motor then the top spring clip. Hold motor from the bottom to keep it from falling when the top clip is removed. Remove the damaged coupling from the motor & transmission. The transmission does not need to be removed. Install the new motor coupling part # 285753A on to the motor and the transmission. Install the white plastic part on the transmission first and the black rubber center on to this part. To avoid damage to the motor when tapping the remaining white plastic motor coupling part onto the motor, make sure that the opposite end of the motor shaft is on a hard surface. To remove the transmission the agitator must first be removed. Under the agitator cap there will be a screw to remove, then the agitator should lift out. 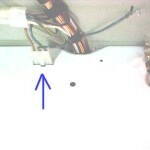 To replace the lid switch you will usually need to remove the cabinet as shown above, quite often the lever will be broken on this switch and the lid plunger does not activate it. water inlet valve is defective. water level switch part is defective. small rubber hose to water level switch loose. Usually a defective water inlet valve. Occasionally a defective water temperature switch.